There is a general misconception that Uber is a get rich quick scheme if the adverts by Uber are anything to go by. According to Uber commercials, you stand to earn at least 40 dollars per hour averaging to 90,000 dollars per annum. However, the truth is you don’t earn as much, except for special occasions like New Year’s Eve or when there is an evidenced surge in pricing. There are two factors that determine how much you make on Uber, your location and the number of Uber drivers in your area. If there is a huge competition for customers in your area, then you won’t make as much money because this will limit the number of rides at any particular time. However, if you stay in a busy area, with a few drivers, then you can make more money because you will be constantly on the move. If you stay in a rural area, then there is no reason to even sign-up, you are likely to make no money due to little traffic. As an Uber driver, you are not an employee of Uber, but rather an independent contractor. This implies that Uber is not obligated to pay your taxes, any statutory deductions like a student loan or file your returns as normal employers do, but rather, that is your responsibility. Thus, make an effort to understand your tax obligation. For instance, there is a specific limit above which you might be required to pay your taxes quarterly instead of annually. This is the case particularly if you owe anything above 1000 dollars in one year, well its nothing to worry about, but something to keep in mind. Am sure you already know that your car needs an insurance, but as an Uber driver which insurance specifically do you need? Comprehensive, third party or which one? Remember your personal cover does not include “for-hire”, implying that a lot of things are excluded when you are driving your car for commercial purposes. This complicates things, particularly for drivers who want to use Uber part-time. For full time-drivers, the challenge arises from the fact that most insurance policies exclude public conveyance, implying that if you got involved in an accident while carrying a passenger, you will meet the medical costs and other damages from your own pocket. In most countries, Uber drivers are treated as Public service vehicles (PSV) and thus are required to take third-party insurance policies. This not exposes the car to the risk of loss, but also the driver. 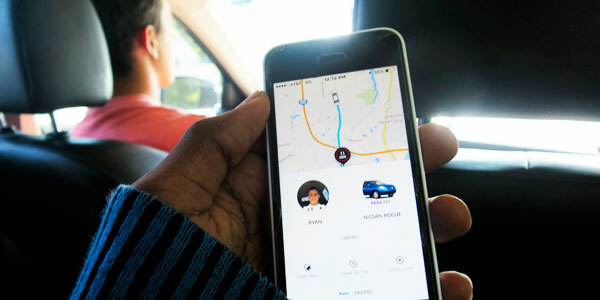 According to the Uber website, the company provides a supplementary insurance for the drivers, the passenger’ and other third-parties, but only when the application is on. This implies that while offline, your car and you are left exposed. Thus, conduct a thorough research on the most appropriate insurance policy in your locality. In every business, the government gives you an allowable expense for all expenses that are directly involved in the production of a product or a service. In the case of an Uber driver, your most important business expense is mileage.The standard rate mileage which is the most applicable for Uber drivers and this refers to the national mileage rate that you can claim for every mile that you drive for your business. In 2017, the rate was 53.3 cents for every mile covered with the Uber app on. The trick is to master how to keep track of this millage accurately as in most cases, Uber gives a lower figure meaning you will make the less mileage deduction. This mileage can also include rides you make between dropping off a passenger and picking the next one. 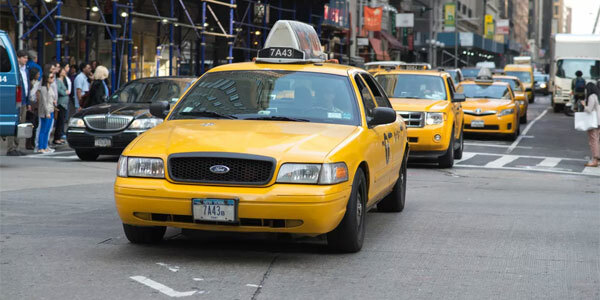 Some drivers even include their ride to and from home, thus making almost every ride a tax-deductible expense. Like every business, Uber is by the forces of demand and supply,with prices being higher when the demand is high and lower when the demand is low. Thus, watch out for major holidays, weekends and Fridays when most people are out partying as that is when the prices seem to be highest and you are likely to make double what you can make on an ordinary day. For instance, in New York on New Year’s eve, passengers reported paying up to 10 times more than they would pay on an ordinary night. Well, the jury is out on whether this is ethical or not, but as a driver, there is no harm in making an extra dollar on a weekend to make up for a slow day during the week. Thus, Uber is a great side-hustle with an opportunity to transition to a full-time job. With a good functional car, the right insurance in place and a willingness to work more hours than the normal 8-5, then you can earn some good money. These tips can help point you in the right direction. A passenger will never forget an Uber driver who offered a paper towel or a napkin when they need it most. It is the simple things that leave a mark. So when you hit a speed bump and the water or the soda the passenger is drinking spills, have something to help them clean up. You can log your miles by using an app or the old fashioned pen and a paper method. This simply means you are staying organized for tax time and write offs. In fact, many office supply stores sell mileage logbooks. This should be a priority if you intend to become a renown Uber driver. In essence, your mileage can be deducted against your gross income. This means you will pay less taxes. Uber drivers are allowed to carry a passenger and their service animal. So to keep any hair off the seats, always carry a towel in your car no matter if you have fabric or leather seats. You can keep track of your customer’s mileage by installing an app on your smartphone. This is a free and more logical option than installing an expensive meter. There are also mileage trackers that double as mileage logs. This will help you claim the mileage for your taxes and stay ahead of the game. GPS is essential for every Uber and Lyft driver these days. So it’s crucial that you use a GPS app and mount your mobile device on the dash to use it on the go. Having the mount also ensures your passengers are safe. You can be distracted by calls or messages but having your mobile phone in the right position means you don’t have to worry about distractions. Some states require them. To make your Uber ride stand out, consider keeping a power pack where passengers can reach it (unless you have USB charging ports available in the back seat). 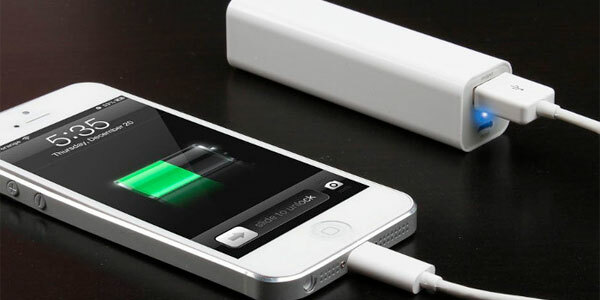 You will most definitely come to the rescue of a passenger whose phone is dying. They should also be both Android and iPhone friendly to allow anyone to use it. Customers want to feel relaxed even in an Uber. If the kind of music you are playing is not what they listen to, consider offering an option where they can connect your auxiliary cord to their phone and play the music they want to hear. As much as this may not be a priority to most drivers, but the truth is the smell of your car will be the first thing passengers notice. Unless you want your passenger to find another ride, make sure you have an air freshener but one with a mild scent (nothing crazy). Sometimes another rider may have left a not so pleasant smell behind or rainy conditions cause a general musty smell in the vehicle. You will sometimes encounter a mess that needs a quick wipe. If you don’t have towels or napkins, sanitary wipes can do the job just fine. If your passenger gets sick or the unfortunate happens, you don’t want him/her to throw up in your car. A vomit bag will save you the headache of stopping the car to allow your passenger out or clean the vomit in your car. Your passenger may be uncomfortable if he has dirty hands. The best thing you can do in this scenario is to offer some hand sanitizer. It is important to undergo basic first aid training and equip yourself with a first aid kit. Your passenger will be thankful and surprised that you offered a bandaid or a gauze pad. You want to have a basic set of car tools in your trunk. Other than a scissor jack (which every car should have) for changing a flat tire, it’s good to have a can of Fix-a-Flat or small portable air compressor (source). Some other tools include: jumper cables, socket set, crescent wrench, flashlight, spare fuses, and even a roll of duct tape. A pen and a paper should always be in your glove box. There are important events that need to be jotted down like the time you picked someone up, the drop off time and stops in between if there were any. These are measures drivers should take to protect themselves when the need arises. Alternatively, a note taking app on your cell phone works as well. If you have been an Uber driver for some time now you understand that there are all sorts of passengers who call for you. If you happen to carry a drunk passenger, you can offer some peppermint or water to settle his/her stomach. The last thing you want is a passenger getting sick in your car (see barf bags above). Having several hours behind the wheel, because you’re engaged in driving as your job or when you’re driving on a long trip, you may experience real back pain. Seats for most cars are only comfortable if you are driving for short distances, as they are not designed to offer support to your back while driving for long hours. The pain you encounter on long hauls should not discourage you because there are some modifications you can apply to your seat and your driving environment to prevent or to do away with back pain experienced during driving. Before you start driving, you want to ensure that you’ll be as comfortable as you can. Having items like your cell phone and your wallet may be appropriate when you are walking around, but when you are sitting on such items while driving on long distances, it can be downright painful. To increase your comfort level, put on comfortable clothes and shoes. Having any form of discomfort especially while driving can result to stress on your body. Even if it doesn’t cause pain at first, pain may result with time. Ensure a fairly upright sitting by adjusting the seat specifically for you. If you bend while sitting, it can lead to stress on your upper back as well as your neck. Ensure your seat is reasonably high to ensure enough room to allow you to have your feet flat in the floor, at least for some time. For shorter individuals especially, a chair cushion for the car can make a huge difference. 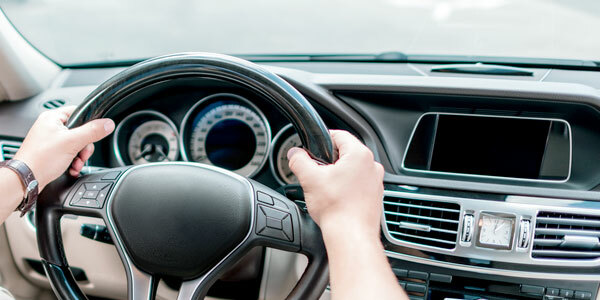 As you reach the steering wheel, your elbows should be bent slightly, and to reach the pedals you don’t have to stretch your legs to get to the pedals. Have your mirrors well-adjusted to ensure you don’t crane or bend your neck to have clear visibility. Driving continuously while on a long journey without breaks is not advised. This can make you get more tired, sore and stiff and lose concentration on the road. Instead, have some breaks at some points to stretch or even take a short walk. This will make you feel more refreshed and loosen up those muscles which are often responsible for back pain. Even 10 minutes can make a huge difference between almost non-existent pain and excruciating pain. While on break, you can move your ankles up and down to allow free blood circulation on the lower part of the leg. You should adjust your seat or seating position after every 20 minutes. These simple movements will keep your blood flowing to your muscles to avoid them get sore and stiff. Regular chiropractic care and exercise are also important in preventing back pain while driving. To keep your spine at its best, ensure you engage in some exercise to strengthen your back. Your car is the most important asset if you are running an Uber business. As a result, you need to ensure that your car is in the best condition at all times. Uber customers love the fact that they can ride in a clean, upscale vehicle at prices cheaper than a typical taxi. Many drivers lack enough knowledge when it comes to maintaining their cars. The following article is designed to address critical areas where checks are to be performed on vehicles on a daily basis. This will keep your car in the best operating condition at all times. Every car in the Uber business needs to be very clean. The exterior and interior parts of the vehicle have to be cleaned thoroughly. As part of car maintenance, the engine should also be pressure washed every once in a while. One of the most vital car maintenance procedures is to check the engine oil frequently. The oil should be changed on a regular basis following the manufacturers recommended interval. Not staying on top of oil and oil filter changes may lead to an engine failure. To save money, all you need is a set of car ramps, oil drain pan, wrench, oil, oil filter, and maybe an oil filter wrench. 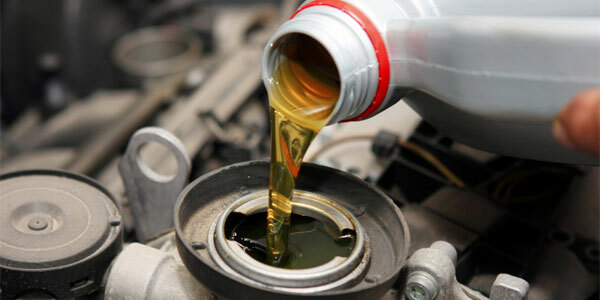 The other car fluids need to be checked as well although they do not need as much attention as the engine oil. These include coolant, transmission fluid, brake fluid, power steering fluid, and of course windshield washer fluid to name a few. Make sure they are all at the right level and top off as needed. It’s a great idea to use a good fuel injector cleaner or fuel system cleaner on a regular basis. It’s cheap and will often increase power, fuel efficiency, and just make your car run smoother in general. You definitely want to make sure that the exterior of your car is clean and the paint stays in good condition. This will also protect it from the elements. You can quickly achieve this by applying a quality wax on your car twice a year using a buffer. These days, you don’t need the best car buffer in the world to polish out imperfections and apply a coat of wax. Inexpensive models under $50 can do just as good a job as a $200 model. It is a great way to make your car look like new and get more customers. KBB advises you have a full inspection, clean up and repack of wheel bearings with grease when you are having your vehicle serviced. Hub and spindle replacements are expensive procedures. These can be avoided by having the wheel bearings greased. The survival and longevity of your car is dependent on everything before sufficiently lubricated. Grease should be applied to all moving parts that rub against each other. 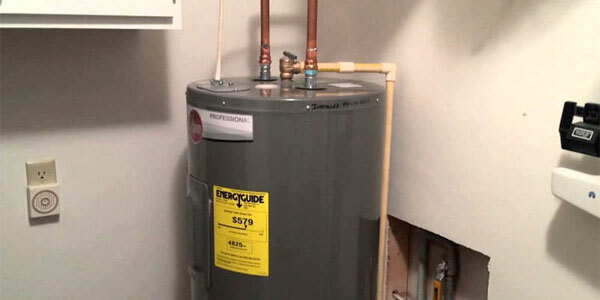 This will prevent wear and tear from happening. Another car maintenance tip is to change the coolant annually and flush the cooling system as a whole. To have a cooling system that is functioning well, distilled water and coolant are to be added in equal amounts. 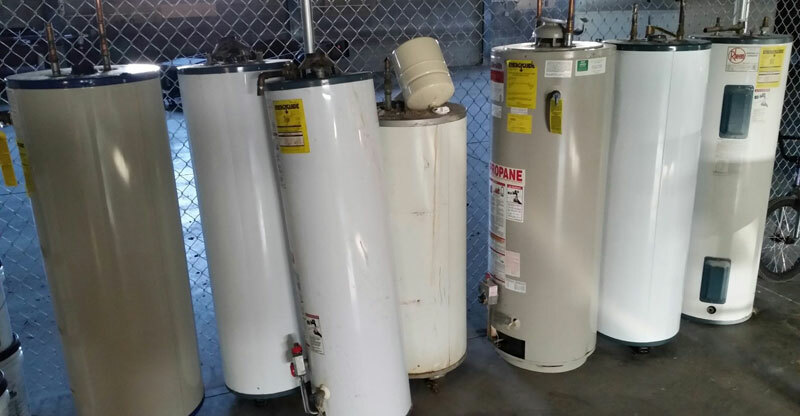 Corrosion and formation of deposits in the cooling system can occur if regular tap water is used. These are just a few ways you can help maintain your car for years of successful Uber driving. It is true some dogs are afraid of water (which my moodle Moots definitely was!). There is a theory that some breeds of dogs have that fear of water in their genes, but I don’t exactly agree with that. If a dog shows great resistance and fear of water, it may because they encountered a bad experience with water at a very young age. The other issue that may seem to make a dog show great fear is if they have never been exposed to water before and lack knowledge of what it is. If a dog lives in a kennel most of the day and only roams in an indoor area and has limited access to the outside weather, it will have no experience with wet grass or water itself. It will not have snow falling on its back and therefore water is something that will be strange in its life. A dog with this kind of lifestyle will show fear if it encounters water. This is because a dog is always worried about something it is unfamiliar with and will always want to keep its distance. In its mind, maintaining a distance will keep it far away from harm of this strange thing. The reason why wolves show no fear of water or snow is because they have to hunt regardless of whether it is raining or not. They sometimes cover acres of hunting grounds in search of food. They encounter water, snow, and ice in their daily hunting routines. Dogs in our homes, however, have lived indoors for most of their lifetime, and it has been this way for a long time. They are not adopted to weather changes as their cousin’s wolves. Dogs have strong senses and can detect a change in atmospheric pressure. However most live inside enclosed places where temperature is constant and controlled and almost never get to experience the cold or heat of the outside world. They also are at a disadvantage is seeing how the weather changes during the day. How do you help your dog overcome their fear of water? You can do so in a gradual way to help your dog accept water. This will take patience, understanding, praise and dog treats as bait (if they are necessary depending on the dog). You would be required to try several times if your dog was ever frightened by water in the past since dog’s have good memories. You should not give up on your dog if he frustrates you on the first try. A little patience goes a long way. If your dog is scared of water (especially raindrops), take its favorite toy outside when it’s raining and start playing with it. This method can be applied in the snow season too. You should make efforts that the toy can be seen during the snowy weather. If your dog overcomes the fear and goes out and brings the toy, reward it with a treat. If your dog fears grass that has dew and water on it, you will be required to take a walk with your dog in the early morning, and you can motivate him by inviting one of his dog friends for a play session in that early morning. This will interest your dog, and he will start playing and forget about the wet grass altogether. 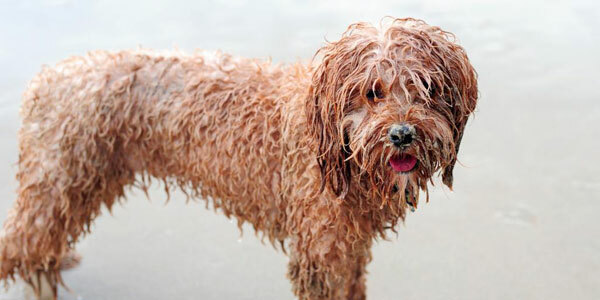 There’s a chance that your dog fears taking a bath because they fell into the bathtub at a young age and their head may have gone under water for a second which meant they took mouthfuls of water. In that situation, you can try getting them used to water that’s shallow, making use of a kiddie pool which has a piece of the non-skid liner at the base to prevent them from falling. Put some water about several inches high and trick them to get in using a treat. Apply water on his body in a gentle way showing him that it isn’t harmful in any way. If you have a young dog who is pretty small, try using a dishpan which has warm water and it will work. If your dog has a general fear of water, you should try taking them to a gently sloping bank or a lake with a beach which allows your dog to walk on its own. You should schedule a calm and less windy day of the visit so that there is less wave action that can easily scare your dog away. You can attach a six foot lead on their collar and use rewards and praise to lure them in water. You can go back to the lake or river another time and repeat the same routine. Moots is one dog who used to be terrified of water but now enjoys it (most of the time). He doesn’t get scared of taking a bath but is happy when it is done. Rain isn’t his favorite thing but he likes playing in the snow and has to be compelled to go inside the house. I took the time to teach Moots about water at a young age to make the fear go away. I did it in his kiddie pool, but now he goes swimming in the lake or running into the waves when we go to the beach. 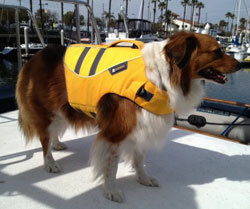 Another thing that also helped Moots is a dog life jacket. He wasn’t so sure when I first put it on him but soon realized it helps him float and conserve energy when swimming. Don’t skimp on cheap life jackets which are uncomfortable and could make things worse. 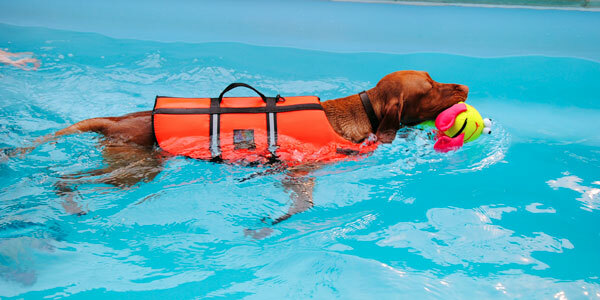 Even the best life vest for dogs should run you less than $50 and it’ll be so worth it. No he won’t win any swimming race with a labrador retriever, but he enjoys it nonetheless. Through patience and proper understanding of your dog, anyone can help them learn to accept water and enjoy every little bit of it. 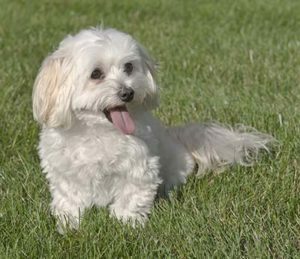 The Moodle, also called Maltipoo, is a cross breed created by mixing that results from mixing miniature poodles and Maltese dogs. This toy breed is best known for its fluffy, curly coat that feels like wool. The Moodle makes an ideal pet for people with allergies, as it sheds little to no hair. Moodles have thick coats that require daily brushing and professional grooming every six weeks or so. Moodles are typically cream, silver, white, or a mix of all three colors. They are small dogs, only growing to 8 inches long and weighing anywhere from 5 to 19 pounds. 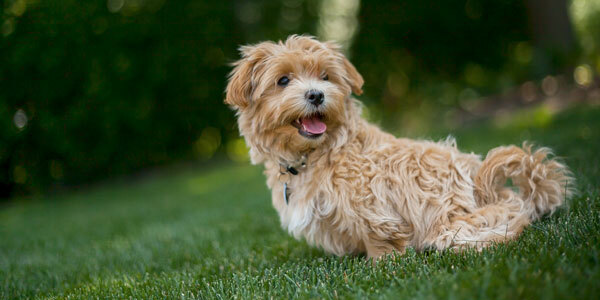 As with many small dog breeds, the Moodle has a relatively long life span; the average life expectancy is 12 to 15 years. The Moodle was bred to be a non-shedding, hypoallergenic dog, although it has been reported that this breed does shed some fur on occasion. While not officially considered a “true breed”, the popularity of the Moodle breed has led to the formation of the North American Maltipoo/Maltepoo Club & Registry. Genetically speaking, the Moodle breed does not have a long history, but its lineage can be traced through the Maltese and poodle breeds. Moodles are known for calm and placid temperament, so if you’re looking for a “lap dog,” this is definitely the breed for you. Don’t let their laid-back nature fool you, though; these dogs are intelligent, highly sociable, and love playing and going for walks with their owners. The laid-back nature of Moodles makes them a great companion to other animals in the home. Moodles also getalong well with children, but care must be taken to ensure children do not play too roughly with this small and fragile breed. Epilepsy – This neurological disorder can cause dizziness, fainting spells, and rigidity. While these behaviors can be frightening to witness, treatment for epilepsy is available and the prognosis for affected dogs is frequently good. Patellar Luxation – If the bones of the patella are not properly aligned, they can slip in and out of place. This is called patellar luxation. Mild cases do not usually require treatment and do not diminish a dog’s quality of life. Severe cases may cause pain and an abnormal gait that require surgical treatment. Portosystemic Shunt (PSS) – A portosystemic shunt, also called a shunt of the liver, is a birth defect that occurs when an abnormal connection is formed between the portal vein of the liver and one of its offshoots and another Bevin. This causes blood to bypass, or “shunt,” the liver. Surgery is often required to correct PSS. Progressive Retinal Atrophy – This eye condition can lead to the deterioration of the retina, causing night blindness and, eventually, full blindness. There is no cure for Progressive retinal atrophy, but many dogs adapt to the loss of eyesight and can continue to lead mostly normal lives – especially if their environment is not changed too drastically. Moodles are often called the “cutest breed of dog” due to their small size and adorable features. Moodles tend to bond more easily with teenagers and adults than with small children, who often do not know how to handle the delicate nature of this breed. I wanted to share a story from a friend in the “mixed poodle” group I’m a part of. If this doesn’t brighten your day, nothing will. 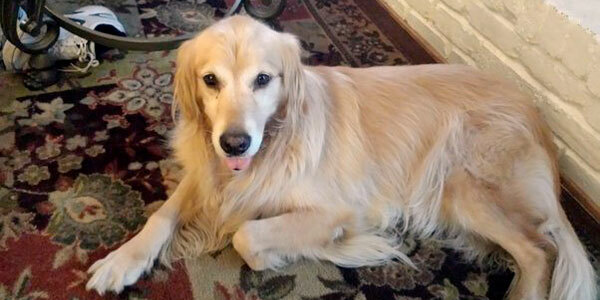 It is eight years now since Choos our Golden Retriever became part of our lives. He came via a flight from Mountainview Puppies. His body was all covered with hair, and you could hardly see his eyes, we, therefore, named him Muckback. As he got acclimatized to his new home in Virginia, he developed a habit a chewing anything he could locate mainly socks misplaced on the floor, so we renamed him Choos. Choos is a central figure in the family; same applies to Marshy our cat, who happens to be Choos’ best friend. In case we are going on vacation, we never leave him behind. Both Choos and Marshy accompany us for our evening walks. For a few weeks now, I have been at my sister’s place taking care of my elderly mom. As usual, Choos came along with me, and he has been enjoying his time getting acquainted with his new environment. Yesterday I took mom to the hospital and left Choos behind; unfortunately, he managed to escape through the backyard. I came home, and my lovely Choos was nowhere to be found. I couldn’t believe that Choos had escaped. I took an hour in our neighborhood searching and calling out for him. I inquired from the neighbors and the mailman. Only the mailman remembered seeing him on the street in the morning. At this stage I couldn’t control myself, I shed tears. I didn’t know how search for my dog, but luckily enough as I began to Google “Find my pet,” I found Lost Pet Finders. Initially, I presumed it was just an online scam; I had no option but to sign up, entered Choos’s particulars and paid a fee for Pet alert. As I continued crisscrossing their website, I realized they were an established firm in the area and had over 161 individuals who had registered for their services within 1 mile radius. I gained hope when I instantly got a welcome email from them. I made calls to the Humane Society and local vets, but he was nowhere to be found. I designed some excellent fliers and posted them in the neighborhood, it was now dark, and I had to call it a day. Later in the evening, a friend called me and informed me that someone from the Human Society left a message that our Choos had been located! What a joy, I couldn’t sleep. My first morning assignment was to rush to the Humane Society. After about 10 minutes, I was reunited with our Choos. When I went back to my sister’s house, I found 8 messages from LostPetFinders. One that caught attention was from a lady named Elizabeth who informed me that she found Choos as she was going home and took him to the nearest Vet. I’m so thankful for kind strangers. I appreciate the efforts of everyone in the neighborhood who came to my aid. Thanks too to the mailman, he passed by in the morning to see if Choos was back home. I gladly told him yes, Choos is back.